Many a year ago MUSE were an an up and coming UK band compared to early Radiohead. Not so much anymore. By now MUSE have proven themselves and forged their own identity in the music world, rocking it like only they can. They're not so much an Off the Radar band anymore, but just like bands like Radiohead, Nine Inch Nails, Wilco or Flaming Lips we still love them. We shouldn't stop loving bands just cause they get popular right? The criteria should be as long as they're still putting out great music and MUSE are still doing that! This week they released new album The Resistance to much fan fare. They are the number one on Hype Machine's most blogged artists. Guess all those years of hard work have paid off, particularly in the U.S., because the UK/Europe has always embraced them. MUSE has always had an urgency about them, like every song their playing had their life depending on it. Themes of conspiracy, revolution and war are big for them and this album continues that tradition. 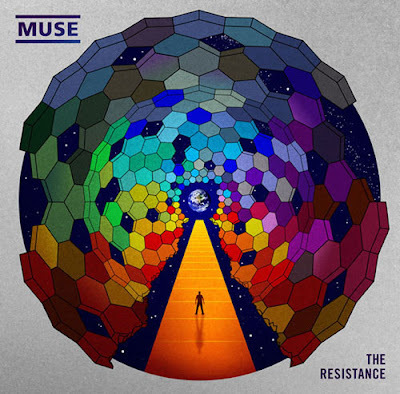 Just looking at the album title The Resistance should give you a clue as to that. Starting on their excellent 2006 album 'Black Holes and Revelations' they've been putting out more dancefloor friendly tracks and this one's got a few as well. Those happen to be my favorites. Seems theirs too as they've been releasing these as singles/videos, like this one for the excellent 'Uprising'. Here is that plus the mp3 and another favorite of mine 'Undisclosed Desires'. P.S. Did you know that Miami band People From Venus originally had the name/performed as Muse in the early 90's until they sold the rights to the UK Muse. True story.